Electronic regulators for single solenoid proportional control valves. The electronic control card type REM.S.RA has been designed to drive the “XD. *.A, XDP.3.A, XP.3, XQ.3, XQP.*. and CXQ.3” series single solenoid proportional valves without integral position transducer. The control card is enclosed in an “OCTAL” type housing, a typical relay mounting standard. The output stage operates on the pulse width modulation principle (P.W.M.) and is provided with current feedback in order to obtain a solenoid output current proportional to the reference input signal. Output short circuit and supply polarity inversion protection is provided. Gain, minimum current and rise and fall ramp time adjustments are possible through the corresponding front panel trimming potentiometers, while the utput current to the solenoid can be measured via the Valve Current test points, and the ramp operation can be excluded. 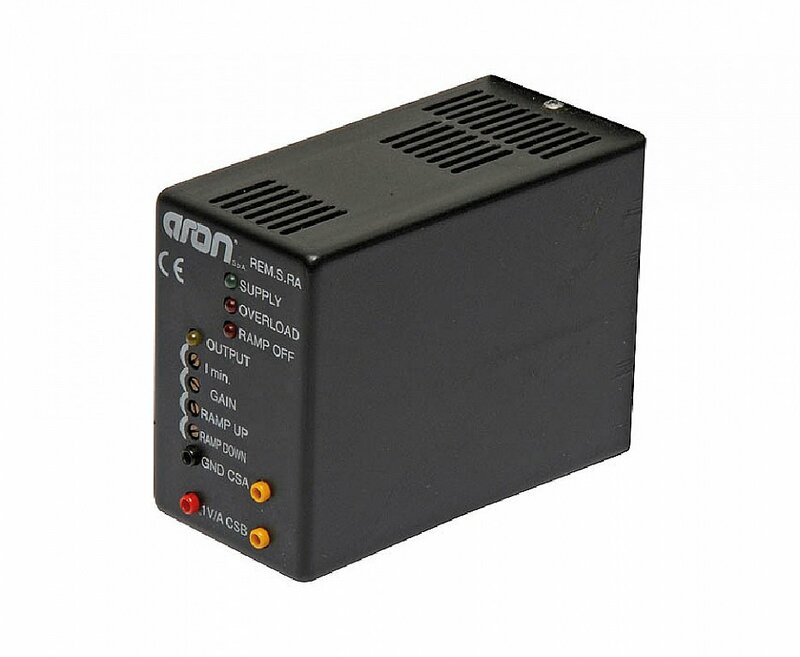 The product incorporates a serial interface for adjustment of parameters.